Unique to the culture of Finland is the importance of its beautiful landscape. The site’s connection to the Töölönlahti area presents an opportunity to connect a cultural building to this cultural value. 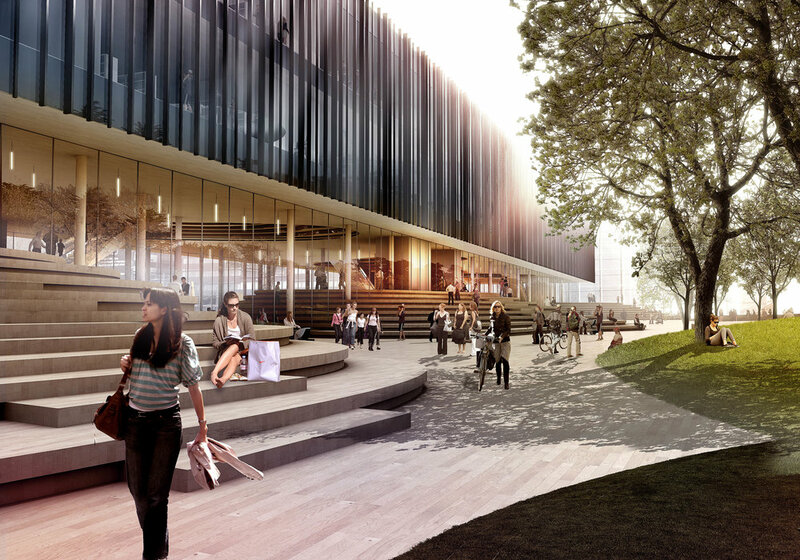 Just as the diversity and character of the Finnish landscape creates a unique national identity, we envision the Central Library’s unique context as an opportunity to create a narrative between landscape and library. Our proposal, the ‘Learning Landscape,’ will create a library that brings the qualities of Töölönlahti into the heart of Helsinki. We propose to lift the library’s volume above a completely open ground floor to extend Töölönlahti’s landscape directly into the city. 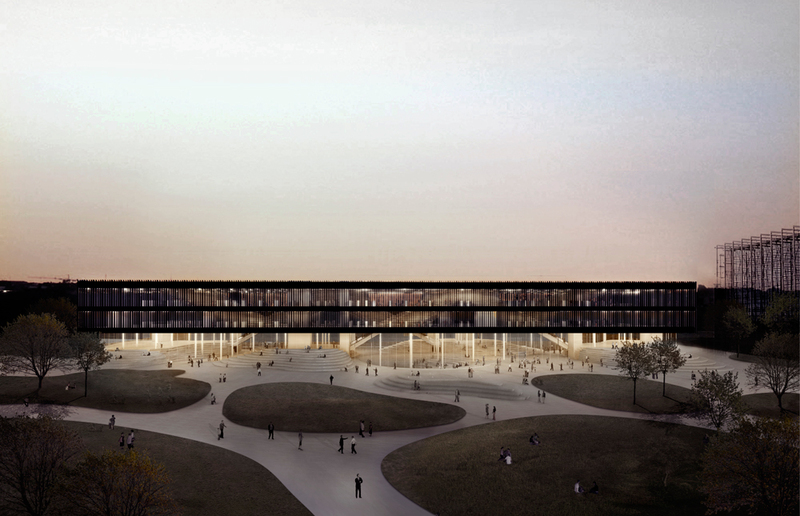 This gesture creates a topography of programmed spaces within the ground floor lobby. The inside spills out and the outside flows in, creating a dynamic terrain of public life, active spaces, and imaginative reading nooks. The ground floor lobby is the Central Library’s major interactive space, completely transparent to the exterior and extending over the entire footprint of the ground floor. It is designed as a vibrant public space that concentrates the most active spaces of the library in this special public space. The lobby’s terrain is envisioned as a multifunctional surface, shaped by the requirements of the program. Closed programs are contained within the major ‘hill’ elements, and active spaces are celebrated as part of the terrain’s surface. By using the area both inside and outside of the terrain surface, the lobby is able to effectively double in size and stay as open as possible. This allows the most active spaces of the lobby to be concentrated on the ground floor, letting their activity breathe life into the lobby on the daily basis. A pedestrian canyon snakes through the lobby, connecting the east and west facades to create entrances into the library from all sides.